The Montclair Music Studio is Proud to Introduce Our Veteran Brass Instructor Mike Spengler. Montclair Music Faculty member since 2009. Mike has been teaching both trumpet & trombone and is currently accepting students on Mondays. Born in Paterson and raised in Englewood NJ, Mike has studied music over 40 years. Mike’s strengths as a teacher are a critical but positive “friendly” ear plus patience, learned from 30 years of private study with the late Edward Treutel. Mr. Treutel was a master trumpet teacher for 60 years at Juilliard, who Mike came to realize, wasn’t only teaching him how to play, but how to teach as well. Mike is committed to passing along to students an evolutionary process of teaching and playing that stresses a “singing quality” of sound to the instrument. Some of Mike’s favorite method books include Rubank Elementary Studies, Getchell-Hovey First Practical Studies, and for further progress, the Vandercook Etudes. According to Mike the Arban Method is the trumpet player’s bible and will last a lifetime. Mike’s greatest strength as a teacher is loyalty and commitment to all of his students. Earlier in his career, Mike Spengler was a member of the horn section for Bruce Springsteen’s 1988 “Tunnel Of Love Tour” which included a July concert in East Berlin. 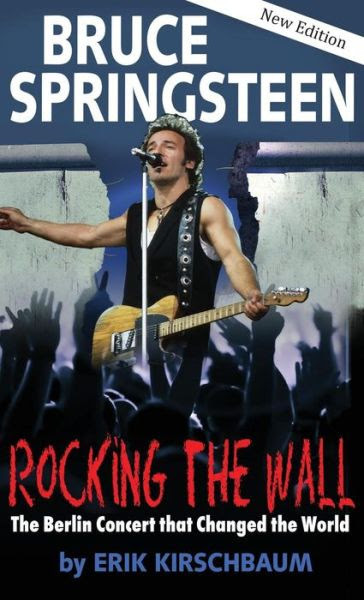 Author Erik Kirschbaum’s 2013 book “Rocking The Wall” concert in East Berlin has been re-published in an updated 2nd edition. This updated 2nd edition will include a new preface, which features Mike’s recollections of his experiences before, during, and after a concert that is now seen as contributing to the downfall of the Berlin Wall 25 years ago this month. I started to learn trumpet at age 9. My father was an amateur pianist. He also later became the (NJ) Bergen Record’s music & arts writer. In high school, I played in all bands. I started working/gigging in a then-called “soul band” in 11th grade, and also became news editor of the school newspaper. I was elected “Mayor” for what was then Studen Government Day, where we “ran” Englewood City Hall for a day. Piccolo trumpet, alto horn, & recently began learning trombone. I’ve enjoyed a long and varied career: including tours and recordings with Bruce Springsteen, Diana Ross, Southside Johnny, Michael Bolton and others, including the Three Irish Tenors (a return to orchestral-style playing). 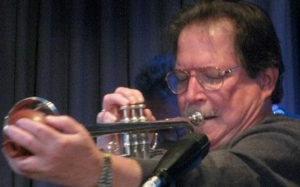 I currently lead trumpet with Diane Moser’s Composers’ Big Band (frequently at Trumpets Jazz Club in Montclair), play trumpet with the Wallace Roney Orchestra (a “Wayne Shorter Project’), House Orchestra at Hunterdon Hills Playhouse (Summer and Christmas Shows), as well as other freelance jobs as they occur. Writing essays on music & politics (mostly on Facebook), following the stock market, and following current events.